Effective communication is a must-have in today's business environment. When done well, it can transform your company and your team, not to mention your relationships and your life. To help inspire you to communicate better and with quiet courage we polled our network and gathered 52 of our favorite inspirational quotes on communication and compiled them into this poster. There are 52 quotes – so pick one a week and use it as inspiration. 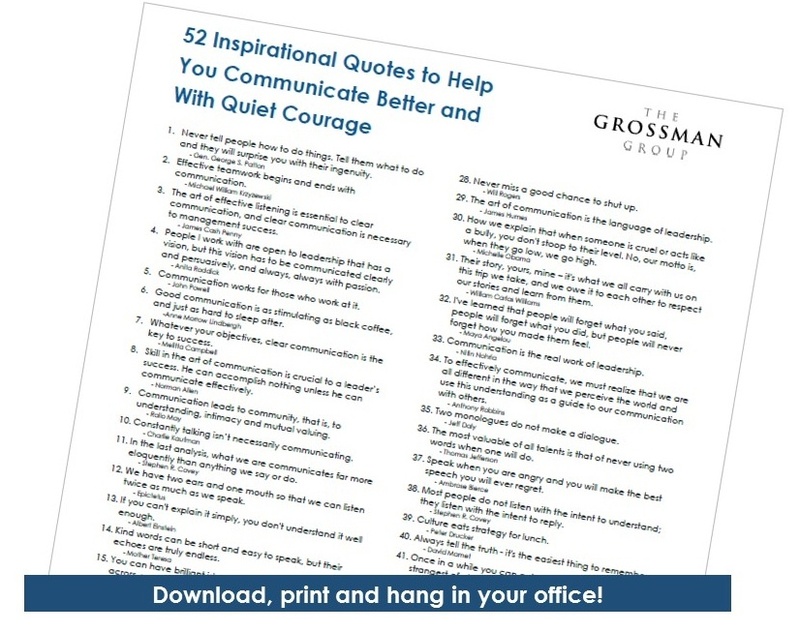 Fill out the form to the right to download your FREE 52 Inspirational Quotes to Help You Communicate Better and With Quiet Courage Poster, today!